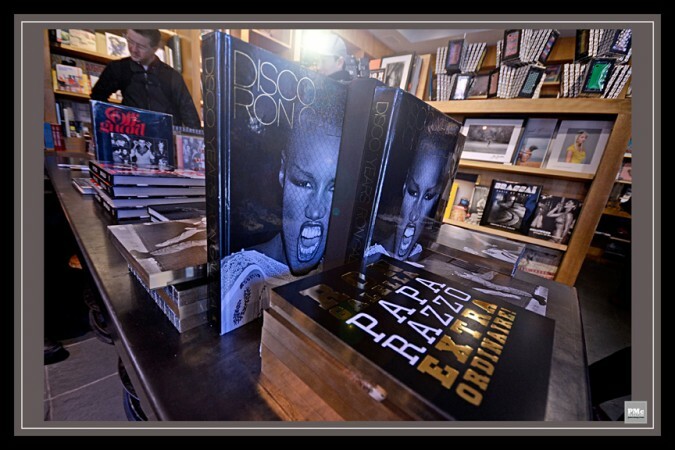 I moseyed on over to BOOKMARC to meet with the PMc Mag crew last week and the next thing I knew, I was chatting up Ron Galella about his newest book, Paparazzo Extraordinaire. 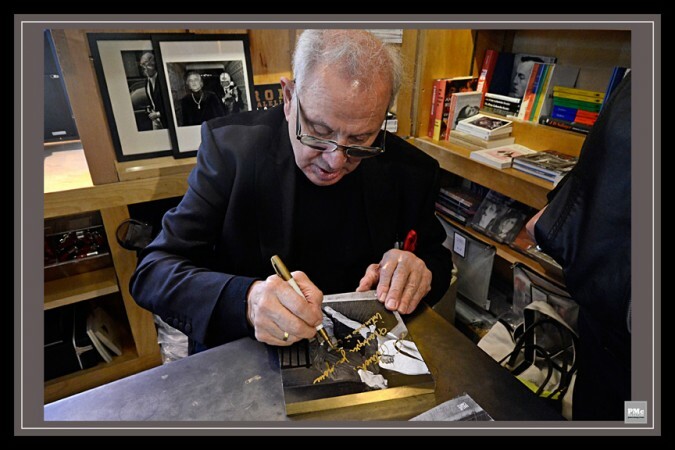 Signing books with one hand and his camera in the other, Ron is the paparazzo pioneer. 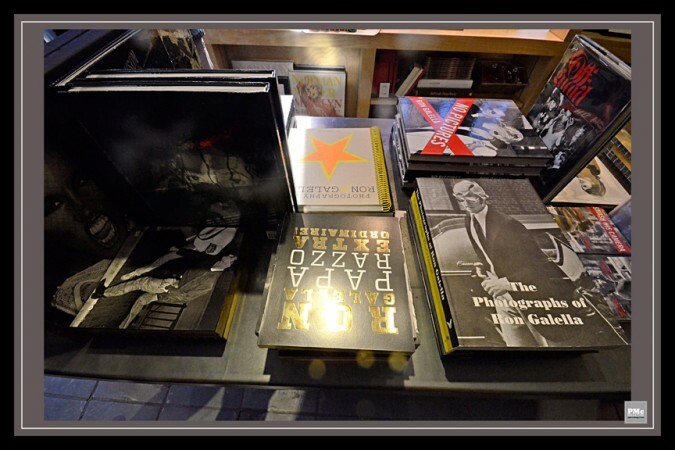 His many books were all there as well as some of his favorite photographs that are a must see on your way down Bleecker. Ron Gallela’s photographs are a document of himself as much as they are about his subjects. He is in them all, as every photographer is in their work, but he has a way of really making you feel his presence. I know that might be a masterpiece of an understatement for a paparazzo, however the body of work is enormous, as large as his personality. 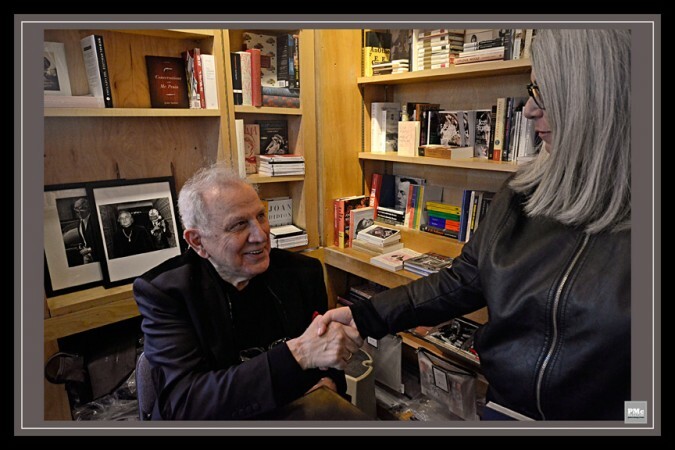 Anita Marie Antonini: Congrats on your latest book! Ron Galella: Thank you, it’s my eleventh! I’m working on my twelfth, which is Jackie, My Obsession, which will be out this September. AMA: Patrick [McMullan] will love that. You really got the most incredible photos of Jackie [Kennedy Onassis]. RG: That’s why I’m doing the second book! This one I’m doing now is going to be more elegant, beautiful. AMA: Do you have a person to write the introduction yet? RG: Yeah, I wrote part of the text, and I had a professor in Germany write something. But I got a great idea: I’m going to have a couple of pages of quotes of things people have said about Jackie, and also quotes which she said to me. I think quotes say more. It’s like Hemingway, be brief! Quotes are so much more powerful than big text. AMA: Besides Jackie, was there anyone else who was an obsession for you? RG: Well, Liz Taylor was the second biggest. 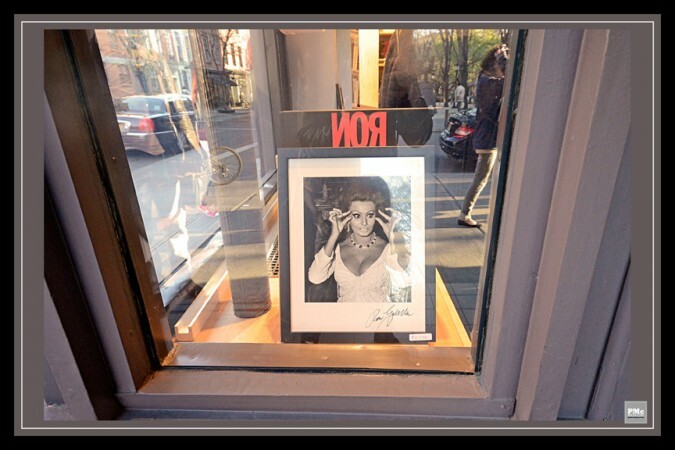 I have a bigger file on Liz Taylor than on Jackie because she was more accessible. AMA: Is there anyone that you haven’t photographed that you would like to? RG: Oh yeah, Marilyn Monroe! Marilyn Monroe was filming Bus Stop in the Fox Studios in LA, and I was on the lot, but I wasn’t a paparazzo in those days so I didn’t wait for her. I was shooting an extra for his portfolio, so I missed out. AMA: Well, maybe you’ll get to shoot her in heaven one day. Anyone else besides Marilyn? RG: Oh Howard Hughes is the biggest! The hardest to get! AMA: Who do you want to photograph now? RG: Taylor Swift is my girl. She’s beautiful and talented. I think she’s gonna be a big star. She makes $35 million now, imagine what she can make in the future. Young, and beautiful. AMA: Do you have a favorite story about Andy Warhol? RG: Yeah, he turned up at a premiere, in New York–I can’t remember the name of the movie–but nobody shot him except me. Nobody shot him. See, I shoot everybody. I even shoot unknowns. Sometimes it pays off. For instance, in my other book, the one with [Robert] Redford on the cover, the editor found in my files that in 1975 I shot pictures of two unknowns who turned out to be Melanie Griffith at 14 years old and Don Johnson at 28, in front of the Beverly Hills Hotel. I didn’t know who they were. I discovered a Jimi Hendrix picture in my files recently. Kathy, who works for me, discovered Brian Jones in my files–a great shot, looking right at my camera. There’s gold in my files! 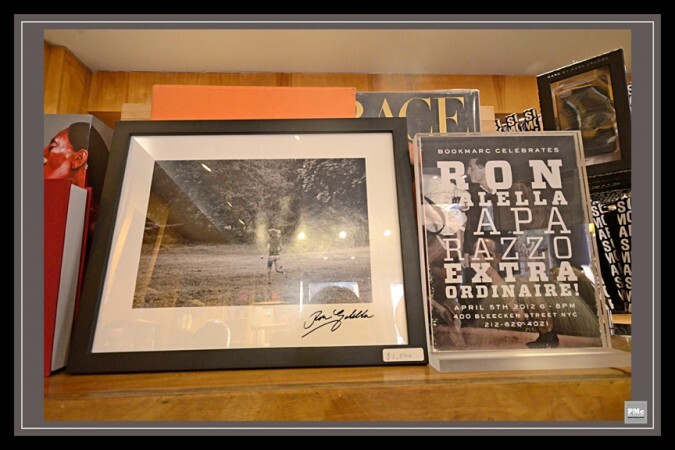 Ron Galella, widely regarded as the most famous and most controversial celebrity photographer in the world, is a paparazzo pioneer. 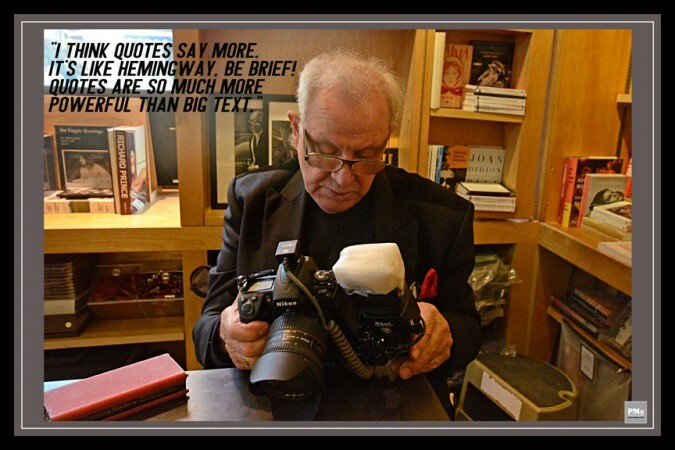 He’s been dubbed “Paparazzo Extraordinaire” by Newsweek, and “the Godfather of U.S. paparazzi culture” by Time and Vanity Fair.